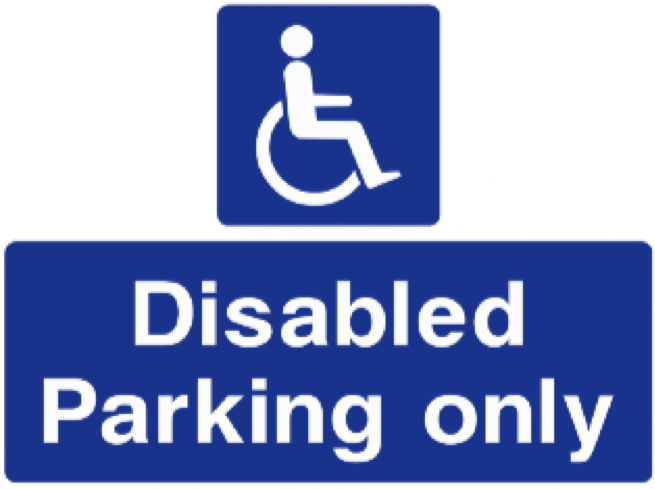 Does your community association have disabled parking spaces? Maybe I should ask if the association ever had these spaces. There is no police force that goes out and checks. But we know that over time, some boards have “converted” what were initially designated as handicap or disabled parking spaces into guest parking or assigned parking for management or other staff. Some association clients tell us that their disabled parking spaces were never being used and that the association has a shortage of guest parking spaces. While that may be true, it is also true that associations must comply with the Fair Housing Amendments Act (FHAA, 1988). Not only does compliance make living in the community easier for members with disabilities, but it also helps the association avoid a time-consuming and costly lawsuit, because not all carriers provide coverage for fair housing violation claims arising out of an owner’s or tenant’s claim that the board and association have not reasonably accommodated their needs. Parking is one of the claims we often see when it comes to reasonable requests for accommodation by owners and/or their tenants. A recent case in Illinois shows just how important it is for an association to maintain handicap-accessible parking. In Jafri v. Chandler LLC, Oct. 2013, a tenant who used a wheelchair sued a condo association, alleging that there were no available handicap-accessible parking spaces at the association and that this was a violation of the FHA. The 40-story building has 342 parking spaces, including seven which are disabled-accessible. Unfortunately, the association sold the seven accessible parking spaces to owners without disabilities. When the association failed to address or deal with the tenant’s request for a parking accommodation, he lawyered up and filed a lawsuit against the association, claiming that the sale of the disabled accessible parking spaces to individuals without disabilities violated the FHA because it meant that the association failed to retain accessible spaces for individuals with disabilities, and that this discrimination prevented the tenant’s use and enjoyment of the unit he rented. We have no idea why the lawsuit was not settled. The case went to trial, and an Illinois trial court ruled in favor of the tenant. While the FHA does not create a right to an assigned disabled parking space, the trial court noted that the association could have satisfied FHA requirements by, among other things, finding and designating some accessible parking spaces for individuals with disabilities. While the FHA regulations do not require an association to choose any particular method of accommodation, the court made it clear that it had to do something to comply with its obligation to accommodate. The fact that the association no longer had the original designated handicap or accessible parking spaces for individuals with disabilities did not mean that the association no longer had a duty and obligation to accommodate. I can hear some of your comments now. No one at the association ever remembers there being designated disabled parking spaces, and there are no spaces that can be designated as such now. Unfortunately, that may not be an acceptable reason for non-compliance. In the case of Gittleman v. Woodhaven Condominium Association (out of New Jersey, 1997), a disabled condo owner asked his association for a designated space in the building’s parking facility. The condo association denied the owner’s request on the grounds that the building’s governing documents said that parking spaces were “common elements” that could be used by all unit owners non-exclusively. The Court did not agree and determined that that under federal housing law, the condo board was “duty bound to: (1) avoid enforcing provisions of the [governing documents] that have discriminatory effects; and (2) regulate the use of the common elements so as to comply with the requirements of the FHAA.” The condo was found guilty of discrimination under the FHAA for insisting on upholding a technicality in their governing documents, rather than making a relatively minor concession to a disabled resident. The court found that the association had an obligation to find and give the disabled resident a designated parking space. When your board receives a request for accommodation from a disabled owner or resident, it is important for the board to carefully consider the options. Refusing to consider a request to accommodate from an owner or resident isn’t one of them. When it comes to disabled parking spaces or access, where governing documents, state law, federal law, and two federal government agencies are involved, it would be a good idea for the board to consult with knowledgeable and experienced community association counsel.